The new DT85GM Geotechnical Data Logger Series 4 version has increased sampling speed, measurement range and programmable analog output. Advanced design and technology plus 25 years of geotechnical expertise have produced the dataTaker DT85GM GeoLogger – A versatile, powerful – yet low power & cost-effective data logger. Further expansion up to 320 sensors (with temperature compensation) or 960 sensors (without temperature compensation) is possible. 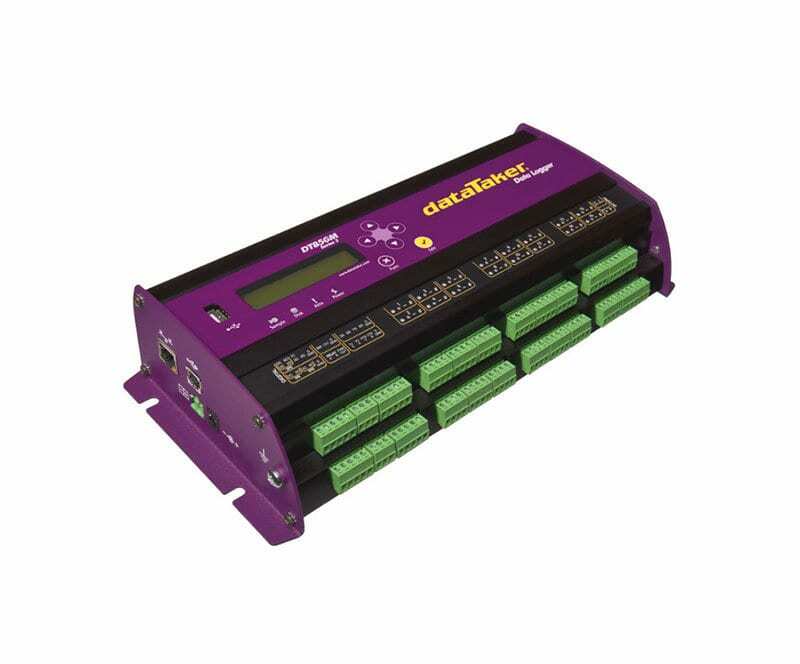 The dataTaker DT85GM intelligent data logger is a fully featured low-powered logging platform with an integrated cellular modem, making it perfect for remote applications. The rugged design and wide operating temperature range of the DT85GM provides reliable operation in virtually any environment. The DT85GM’s perfect balance of performance with low-power also allows you to use a smaller solar panel without compromising on functionality. Forget traveling long distances to get your data. Utilize the DT85GM’s automatic data delivery features to schedule your data to be automatically emailed to your inbox every day, week, month or other time intervals. 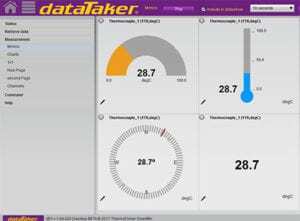 The DT85GM is configured directly in your web browser using dataTaker’s dEX graphical interface. dEX takes you through the configuration of your logger, showing you wiring diagrams and allowing you to decide – in as much or as little detail – how you want to the system to work, suiting both novice or advanced users. Fundamental Input Ranges The fundamental inputs that the DT85GM can measure are voltage, current, resistance and frequency. All other measurements are derived from these.